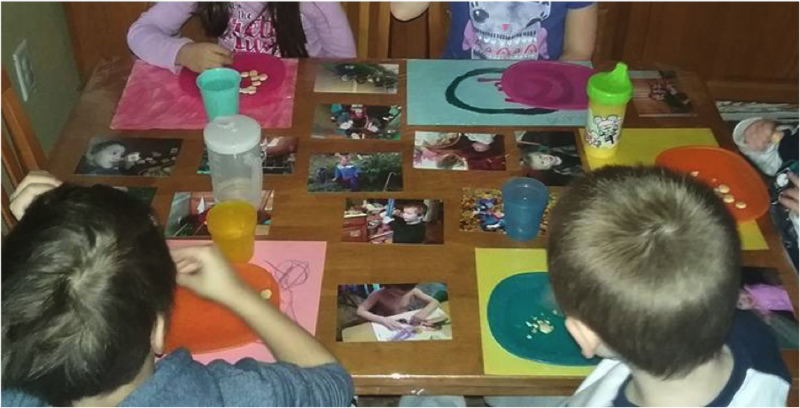 Using family photos from the children in your care is a great way to connect with families and also include culturally relevant images in your environment. These can be a source of comfort and reassurance for children throughout their day. Diane Ott, owner of Happy Kids, added photos of children in her care to a table that is used for meals and also other activities throughout the day by placing them under a clear plastic table cover. Sandy Cole, owner of Sandy’s Kids, has a display of family pictures on a wall near the dramatic play area. The leaves on the trees in the display have the names of all of the children Sandy has cared for over the years. 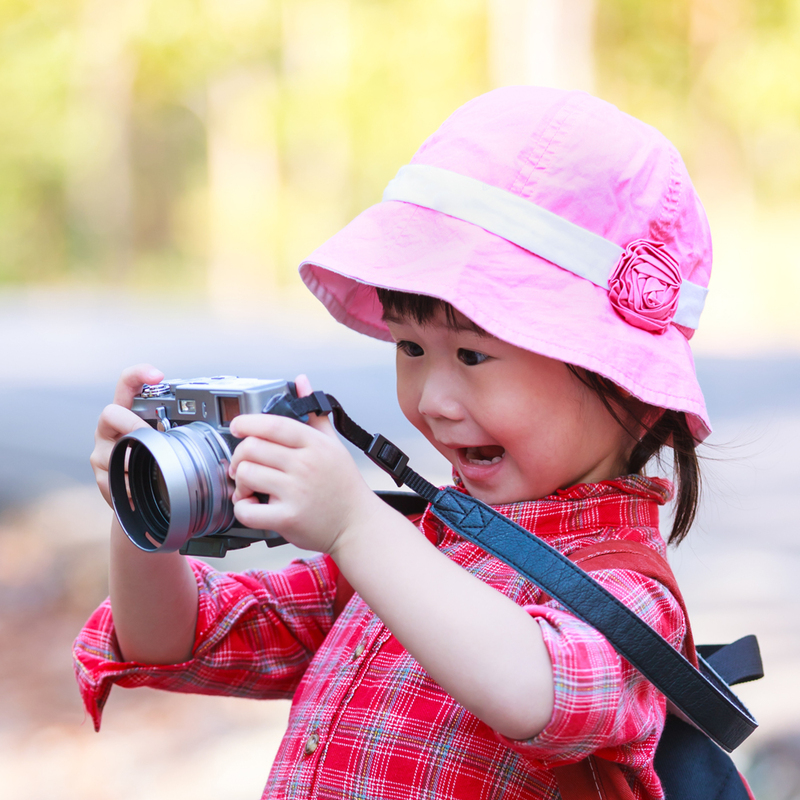 Where might you include photos of children’s families in your family child care home? 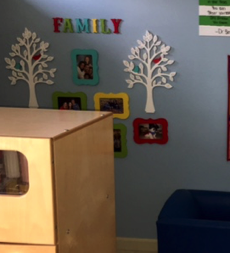 Thank you to Diane Ott, family child care professional and owner of Happy Kids, and Sandra Cole, family child care professional and owner of Sandy’s Kids, for the ideas and photos.